– Craig Lapsley, Emergency Management Commissioner, 19 April 2018. This two-day conference brought together emergency services professionals and researchers to understand the unique risks and vulnerabilities that people from diverse backgrounds face during natural disasters. 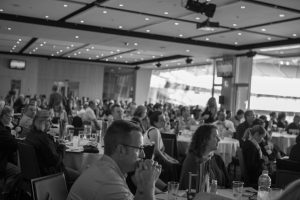 It was attended by 330 people from across Australia from local councils, community organisations, universities, and emergency services organisations. The ‘Diversity in Disaster’ conference is another key milestone in the endeavour to recognise gender and diversity in the emergency management sector. We’ve come a long way since ‘The Hidden Disaster’ research in 2012 examining increased family violence after disaster, with two incredible women in uniform on the Emergency Management Leaders’ Panel to close the conference and family violence now acknowledged as an important factor for disaster planning. The conference was the culmination of months of preparation by WHIN and our partners from the Gender and Disaster Pod (Women’s Health Goulburn North East and MUDRI at Monash University), Victorian Council of Social Service (VCOSS) and Resilient Melbourne. Dr Stephanie Rotarangi, Deputy Chief Officer, CFA, Vic. Craig Lapsley, Emergency Management Commissioner, Vic. Privileged irresponsibility and global warming: In addition to focusing on vulnerabilities to disasters and the exclusion of disadvantaged groups from emergency management responses, we need also to consider the role of privileged groups in perpetuating environmentally destructive norms and practices which cause most disasters. This presentation will outline how privileged groups reproduce their privilege without concern for the wider problems of environmental justice and how they distance themselves from the costs of their ecological footprints. Professor Maureen Fordham BSc PhD is an internationally respected Professor of Gender and Disaster Resilience. She will draw on her research since 1988 to speak on community based disaster risk reduction and vulnerability analysis. A founding member of the Gender and Disaster Network in 1997, Professor Fordham will reflect on the changing nature of gender and disaster policy within the UN system, as well as nationally and internationally. Associate Professor JC Gaillard, School of Environment, University of Auckland, N.Z. JC Gaillard is Associate Professor at the University of Auckland in New Zealand. He trained as a geographer with particular interest in disaster studies. JC will focus on the contemporary momentum towards inclusiveness in disaster risk reduction. He will question whether the concern of many stakeholders for minority groups in disasters is a genuine commitment to address unequal power relations in disaster risk reduction or pure rhetoric. Gain insights into the very real consequences that gendered expectations have on experiences of disaster. First-hand experience, along with research with women and men, illustrate gender dynamics in disaster. And for light relief, hear how humour can play a part in resisting, refusing and coping with adversity in a context of fire-fighting and gender. Beginning with a first-hand experience over a decade since Black Saturday, speakers will present research on the evidence of increased violence after disaster, and practitioners and CFA volunteers will speak on effective prevention and response. Gain a greater understanding of the dynamics of violence in a disaster context and learn about strategies of referral and collaboration to prevent violence against women in the different context that a disaster’s aftermath presents. It’s a common misunderstanding to think that ‘good service’ is ‘equal service’. Leading LGBTI and emergency management researchers have investigated how people of diverse gender and sexual identities experience disasters, how their experiences are sometimes different from heterosexual people and that subtle forms of discrimination may occur in times of disaster. Research in NSW, Queensland, Victoria and in New Zealand mirrors other world-wide research in pointing out how emergency management can be improved to ensure positive experiences and outcomes for people of diverse gender and sexual identities in disaster. Migrants, asylum seekers and refugees are often unaware of the risks they may face in arriving in Australia. In addition they may not have access to or understand emergency preparedness communications. 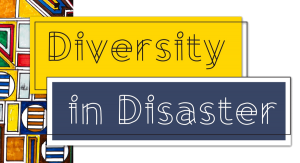 Gain insights into the barriers that people from culturally and linguistically diverse backgrounds face in an emergency or disaster, and learn how to communicate effectively with people who are new to Australia or whose first language is not English.